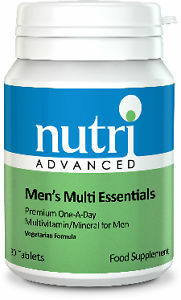 Premium One-A-Day Multivitamin/Mineral Formula with targeted plant-based Phytochemicals for Female health. 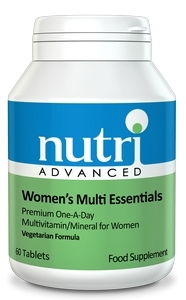 • Premium nutritional support designed specifically for Women. • Provides 100mg of Pomegranate extract for healthy Skin and general Antioxidant support. • Features 100mg of Broccoli and 10mg of Di-indolylmethane (DIM) to support Hormone balance. 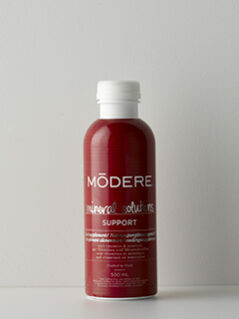 • Contains 200mcg of Iodine and extra Selenium to support Reproductive and Thyroid health. • Features 1,000mcg of Boron to support Bone health. • Provides 1,000iu Vitamin D3 per tablet. Vitamin D is helpful for supporting Cellular health, Immune function and healthy Inflammatory processes, as well as supporting Bone health. • Contains 200mg of Vitamin E per tablet. Vitamin E helps to protect against damage caused by excess free radicals, especially in Cell membranes and other fat-containing areas of the body. • Provides good levels of Zinc, as well as Selenium, Manganese and Copper, which are all cofactors in the body’s enzymes that provide Endogenous Antioxidant protection. • Provides high potency, balanced B Vitamins, with extra B12 and 400mcg Folic Acid. • Features Vitamin K2, an essential Vitamin for supporting Bone health. • Easy to swallow attractive pink tablet, coloured naturally with Beetroot.